So you sat on your last pair of sunglasses... bummer! But hey, that gives you an excuse to shop for something bigger, better, and more stylin'. 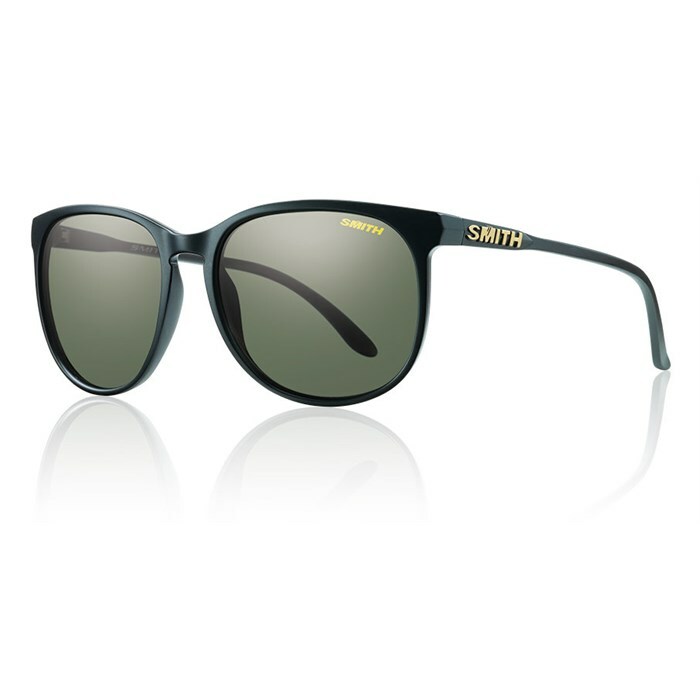 When it comes to looking cool in the blazing sun, you've got to check out the Smith Mt. Shasta Sunglasses. Their wayfarer shape is timeless, while the propionate lens and Oakley's signature Carbonic TLT frame are durable, but we wouldn't suggest sitting on these babies. Classic styling and high-quality materials make the Smith Mt. Shasta Sunglasses an easy choice. Smith Signature Carbonic TLT (Tapered Lens Technology)  Corrects lens distortion by progressively tapering the lens from the optical center towards the outer edges resulting in true optical clarity. Carbonic TLT is engineered to be the most impact resistant lens material in the world while being optically corrected to maximize visual clarity and object definition. Polarized [Select Colorways]  Blocks horizontal glare so the sun reflecting off of water, snow, or the hood of your car won’t mess with your view. This product may contain chemicals known to the State of California to cause cancer, or birth defects, or other reproductive harm.